Bram De Looze is a young pianist/composer from Belgium who started off in a group called LABtrio in 2007 - at the age of 16, no less! Since that time, he’s been involved in a variety of projects: some albums with Slovenian drummer Dre Hocevar (including Coding of Evidentiality on Clean Feed), and an album with Greek drummer Stephanos Chytiris (Flux Project PYR|N, self-released). This newest project is a collection of original compositions recorded by a septet (hence the title Septych), and it proves De Looze to be a formidable new voice in contemporary jazz. The compositions here are at times meditative and brooding, at times fierce and chaotic, but they are always held together by the sympathetic interplay of the musicians. The album opens with two lone reeds. It’s a desolate cry that eventually yields to some spindly, foreboding figures from the piano and then, almost unexpectedly, a thunderous crash of percussion. This first composition, called “Thorium,” is an exercise in addition and subtraction - cellos appear for brief measures before receding, saxophones join together in cacophonic wails before dropping out entirely to be replaced by some other instrumental combination, and De Looze’s playing becomes steadily more unhinged and frenetic. The musical motif here, a dramatic ascent up the scales, pushes the piece further and further and, just when the pressure seems unsustainable, the composition collapses upon itself, and we’re left with just two cellos and skittering drums. After a bit of research, I found that the chemical element thorium, “when heated in air...ignites and burns brilliantly with a white light.” Likewise, this first piece is fiery, but it ultimately decays into an inert silence. “Xenolith” is driven by the cellos - one of them strumming furiously, the other adding unsettling textures. After a couple of minutes, the piece becomes something of a musical haunted house, occupied by odd scrapes and scratches, pops and hisses, the sound of doors being knocked upon (or are those footsteps?). De Looze occasionally appears as if arising out of a fog, only to disappear again beneath the mournful moan of the strings. Acting as a moment of respite after the relative intensity of the previous tracks, “Interlink” finds Gebhard Ullmann establishing a somber mood with his bass clarinet. “As Above, As Below” recalls the Cecil Taylor Unit with its off-kilter piano, frenzied strings, and general atmosphere of pandemonium. 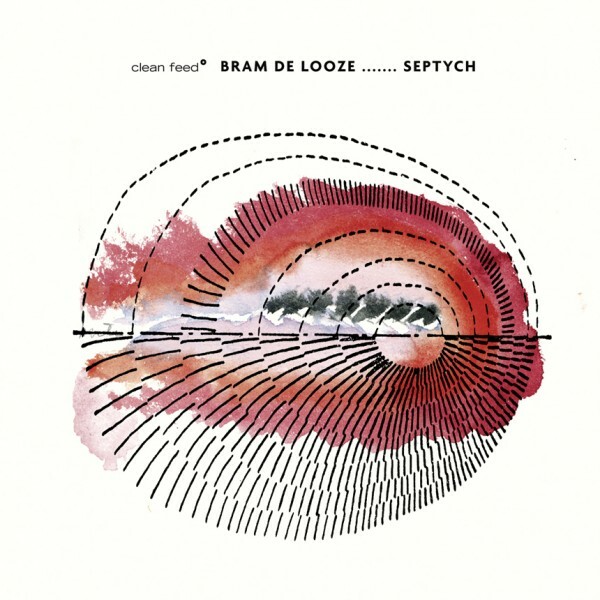 The next track, “L’Esprit d’Escalier” is a feature for De Looze and drummer Flin van Hemmen, and it too offers something of a breather after the wild kineticism of the previous composition. “Repulse” opens with ominous note clusters from de Looze and the malevolent groan of the saxes. As the title suggests, this piece is largely about building a mood of oppressive unease. 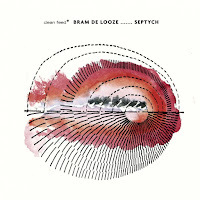 Van Hemmen restrains himself to brushing lightly in the background, and De Looze provides a steady pulse in the lower registers of the piano. The following piece, “Land of Morning Calm,” is calm, but only in the way that a small seaside town is calm after a local resident has been found dead on the shore. Ullmann’s bass flute lends an exoticism to the composition that helps varies things a bit, and that same instrument helps segue the piece into the next, “Seven Trees out East.” This one carries hints of Steve Reich with its looping reeds, but eventually gives way to something more resembling Anthony Braxton - angular instrumentation that seems at odds with itself, snatches of melody that are both teasingly familiar and impossibly obtuse. In “Th 90 Disrupted,” the terrifying/triumphant melody from the first composition is reprised, but it sits atop an even more chaotic foundation. It’s an effective moment that leads perfectly into the final composition, “Ambiguous,” which brings all the players in for a final moment of disjointed beauty. I wasn’t sure what to make of Septych at first, but I found myself returning to it again and again. Each piece here is a world unto itself, with its own energy, mood, and sense of structure, and there’s enough variety (both textural and compositional) to keep things fresh and surprising. All in all, I found this album a wonderful listen, and I highly recommend it to fans of the Cecil Taylor Unit or the late-period work of Anthony Braxton (particularly his Ghost Trance Music). I’m very happy to have found out about De Looze, and I’m now eagerly awaiting his next project!